Charles Kennedy has said he is "not resigning tonight" despite 25 of his 62 MPs saying they will no longer work with him as Lib Dem leader. The 25 - 19 of whom are members of the frontbench team - signed a statement urging him to go before next week. A Newsnight poll later found 33 Lib Dem MPs altogether said Mr Kennedy should go or that his position was untenable. But Mr Kennedy, who has admitted a drink problem, says he is determined to contest a leadership election. He urged the party's MPs to "reflect carefully on things" over the weekend, and said he had received overwhelming support from ordinary party members. His spokeswoman insisted: "He does not fear a confidence vote at all." Asked if he was going to resign, Mr Kennedy said: "Certainly not tonight." In the statement the MPs said they would not be prepared to serve under Mr Kennedy after this weekend if he did not quit. "We have indicated to Charles Kennedy that we would no longer be prepared to serve under his leadership after this weekend and wish to give him the next couple of days to reflect on his position," the statement said. Mr Kennedy earlier received a letter from 11 members of his shadow cabinet saying he had lost their confidence. And a later Newsnight poll found that added to the 25 names already in the public domain, a further eight Lib Dem MPs - totalling over half of the 62 MPs, altogether - said Mr Kennedy should go or was in an untenable position. Thirteen believed he should stay, while 16 did not express an opinion. Lib Dem Treasury spokesman Vince Cable handed Mr Kennedy the letter signed by 11 frontbenchers saying they had lost confidence in him. Trade and industry spokesman Norman Lamb said he would walk out if Mr Kennedy remained intent on staying on. He said he decided last November, when it a problem over Mr Kennedy's drinking emerged that action should be taken. "Our strong preference before Christmas was that if there wasn't to be any public declaration, then the period of Christmas and the New Year gave him time to reach a conclusion that he should step down, with dignity," he told the BBC. And international development spokesman Andrew George told Mr Kennedy he was ready to quit on Monday. Earlier, Mr Cable said he was not threatening to resign yet. But he warned the position of a lot of frontbenchers "would have to be thought through...depending on what happens over the next few days". Mr Cable said it would be "divisive" if Mr Kennedy stood in a leadership election, and urged him to stand aside. "We have to resolve this quickly and preferably amicably," he said. Former party chairman Matthew Taylor - a close friend of Mr Kennedy who ran his 1999 leadership campaign - urged him to stand down for the sake of his family and his party. Lib Dem MP Nick Harvey said Mr Kennedy's position was untenable and MEPs' leader Chris Davies called him a "dead man walking". Some critics are threatening to call a no-confidence vote when Parliament returns next week if necessary. But Howard Sykes, of the Association of Liberal Democrat Councillors, predicted Mr Kennedy would win a vote of grass roots members. Former education spokesman Phil Willis said MPs should listen to their members and consider the affair calmly over the weekend, rather than engage in "dramatic gestures" and threats. Mr Kennedy has called for a leadership election and will be re-elected as leader automatically if no challenger emerges. So far no other candidates have come forward. Potential candidates Sir Menzies Campbell, the deputy leader, and home affairs spokesman Mark Oaten say they will not stand against Mr Kennedy. 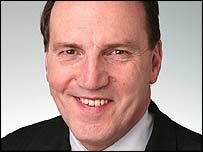 Party president Simon Hughes has yet to announce his intentions. Jenny Willott (Cardiff Central) select committee member. 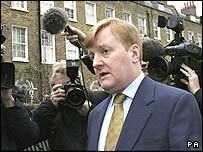 Should Charles Kennedy continue as Lib Dem leader?